This is just a reminder that I have a new ebook available called: The Problem with “God”. My new ebook is available now on Kindle, Nook and Kobo. James A. Lindsay (Dot, Dot, Dot: Infinity Plus God Equals Folly) kindly wrote a foreword to support the project. 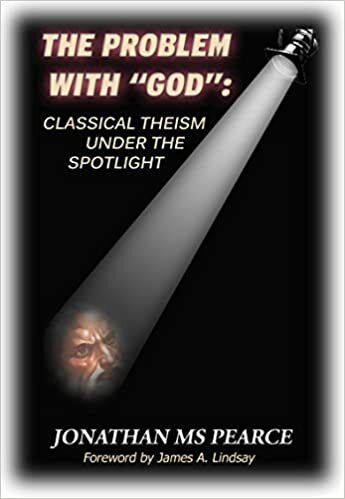 The book is an amalgam of posts concerning the idea of the God of classical theism with all of the omni characteristics. Most of the content is available here in one form or another, though I have added original content as well. It just draws it all together in one place. It was an idea suggested to me when I posted a list of different pieces I had written criticising classical theism on the Atheism group facebook page. It moves from the foundational idea of why God should create anything, on through his characteristics to heaven, hell and Satan. Anywho, the book is available at a reasonable price so that you can see all the pieces in one place and have that instant access to them. Presently, it is available on Kobo, Nook and Kindle. Let me know what you think. If you like it, please review on Amazon or wherever you buy it! Think of this as Jonathan Pearces greatest hits all compiled together. He is one of the most interesting and convincing philosophers of modern times. Some of my favorite posts are here, which I have at my fingertips when I need its resource. It was somewhat difficult to read this on my phone, I don’t usually read kindle books, I prefer old school books, but I managed to just finish it. 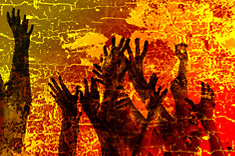 These blogs are fascinating, deep and well written and persuasively convincing of why theism fails on several accounts. The choice of topics are amazing, and no one can deliver this as good as Pearce can. If you are a Christian, you won’t find this book rude or obnoxious, it is fair, well balanced and I encourage you to give it a chance. Challenge yourself, for no one will challenge you better than Johnny can. Excellent selection and content, and Johnny hits another home run. Looks great. I heartily request that you bring it out in _hardcopy_ as well. There’s no (especially plausible, anyway) reason(s) to think it would sell as well (or better!) than your other hardcopy titles, and I would much prefer to have a hardcopy version to make marginal note in, etc., etc. So PLEASE bring this ‘best of’ (as it were) book out in HARDCOPY!